I usually can't stand trailers for trailers. I mean really what's the point? If you want to advertise, cool. Its the pinnacle of marketing for movies anyway. If you can't sell an audience on what your bring to your screen, then you can forget making money. The reason so many movies are successful is a) they are about topics people are interested in, are entertained by or at the very least, curious about and b) the advertising looks good. You can say the same thing about selling anything, if you advertise something well, odds are you will be able to sell it. But it seems more and more people just get plain annoyed by trailers for trailers. Nobody wants a quick tease anymore, they want the total package. They especially want the total package when it comes to these big tentpole blockbusters. I usually groan when I see a trailer for a trailer. Now, I am not so sure. It was great seeing Deadpool in "X-Men Origins: Wolverine" but he was wasted, and that was the least of that movies problems. I am glad Ryan Reynolds is finally getting the opportunity to take on the role in a solo film. It also seems that the crew he has guiding him is taking this adaptation seriously and they are trying to make the best possible Deadpool movie. That shows loud and clear in the trailer for the trailer. The characterization is real, the style is there, heck they even slightly break the fourth wall. (a characteristic Deadpool is known for). 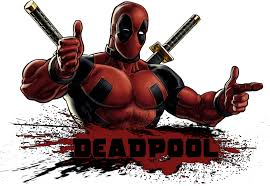 I think "Deadpool" as a movie is going to blow people's minds, and I can't wait to see it. Oh tomorrow, you are only a day away. And we'll be right back here to discuss it.